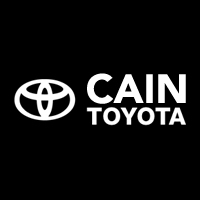 At Cain Toyota, we offer you a large selection of used Toyota cars, trucks, SUVs, and other styles that we sell at affordable prices. Browse through our extensive selection of used inventory, including the Toyota Tacoma, Corolla, Camry, Prius, and any other makes and models that we sell. If you have any questions, please contact us, and if you don’t see your next car listed, we’ll get it! At Cain Toyota, only the best of the best are chosen to be Toyota Certified Used Vehicles. When we choose a vehicle for Toyota Certification, we have to do a little investigative work. Not only do we put each vehicle through an exhaustive 160-checkpoint Quality Assurance Inspection, but we also run a CARFAX Vehicle History Report to ensure it’s worthy of the Toyota Certification process. Then, each vehicle is reconditioned to Toyota’s exacting standards by factory-trained Toyota Technicians. *check with Dealer for details.